I am often asked about the name. No! I don't know what it means. 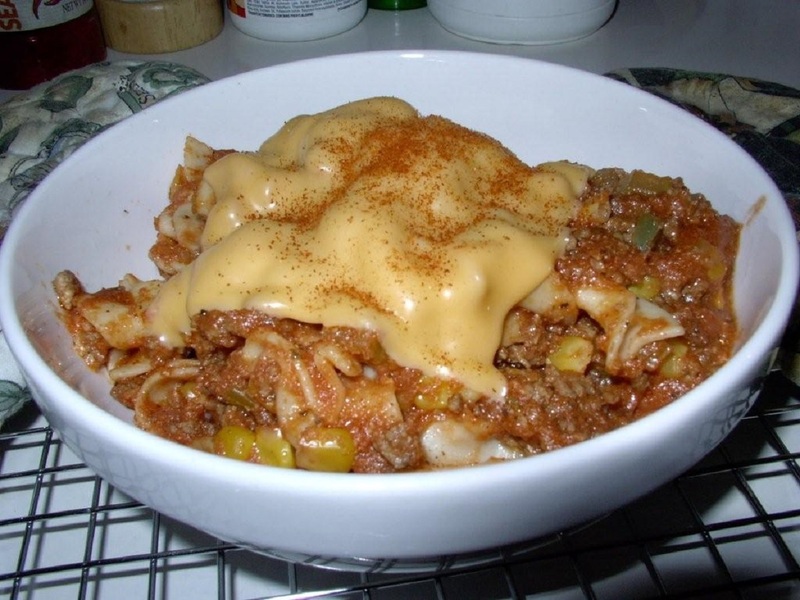 It was a dish our Dad frequently made for "us kids," my sister and I, and we just loved it. When we asked our father what it was called, he said it was ragout. That was fine for awhile until we had some real ragout. Then we kids wanted to know which was which. Thinking a bit, my dad said that it was really slumgullion (a name we believed at the time he just made up then and there) and we have called it that, ever wondering what it meant, ever since. If you are interested in what I have found about slumgullion over the years, I have a separate Slumgullion Information page for your consideration. Slumgullion ala Dad has been one of my favorites as well as a favorite of my own son. I hope that will become a favorite of yours as well. And maybe one day we will know the real meaning of Slumgullion. Prepare and dice all vegetables. Set aside. In a large frying pan, brown meat while breaking into small pieces. When meat is browned, drain fat. Add vegetables (except mushrooms), bouillon cubes to meat in frying pan; sautè until celery and other vegetables are tender. Add spices, tomatoes, tomato sauce; stir and simmer for 5 minutes. Add 3 or 4 slices of cheese to the mixture and add mushrooms. Stir and contimnue to simmer for an additional 5 minutes. 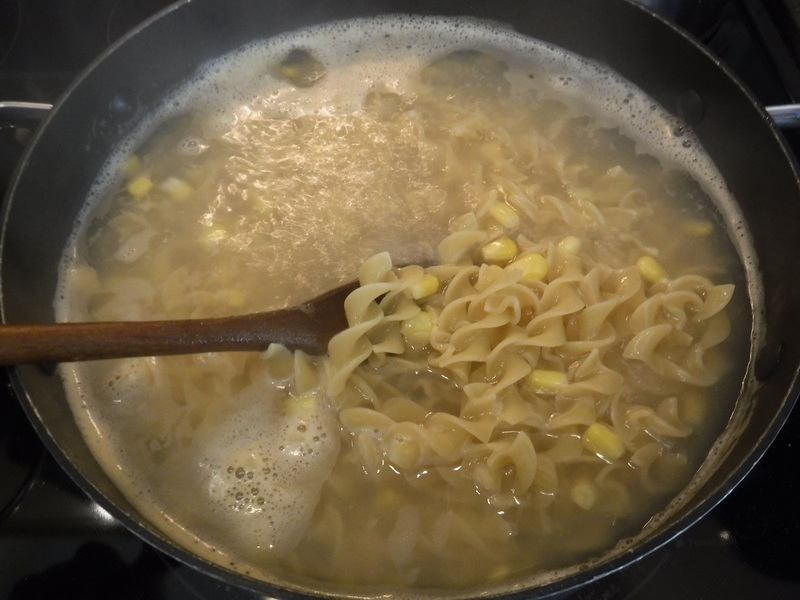 Prepare pasta per directions on package; cook the corn in the pot with the pasta. Drain and rinse pasta. (Note: this recipe really tastes different with each type of pasta that you use. Most often we had it with wide egg noodles. Penne pasta and macaroni also give excellent results) Return the pasta top large pot. 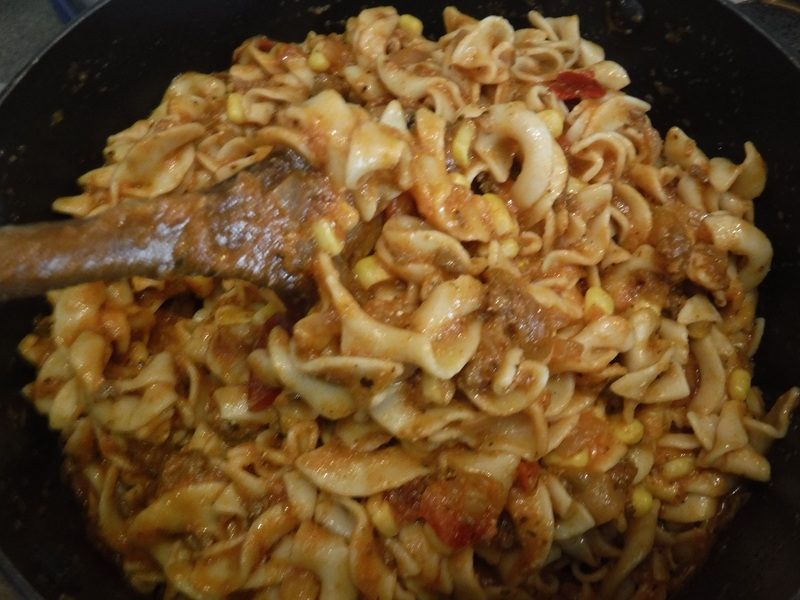 Add meat and tomato sauce mixture to pasta. Mix well. Pour into roasting or similar oven-proof pan or casserole dish and smooth the surface. 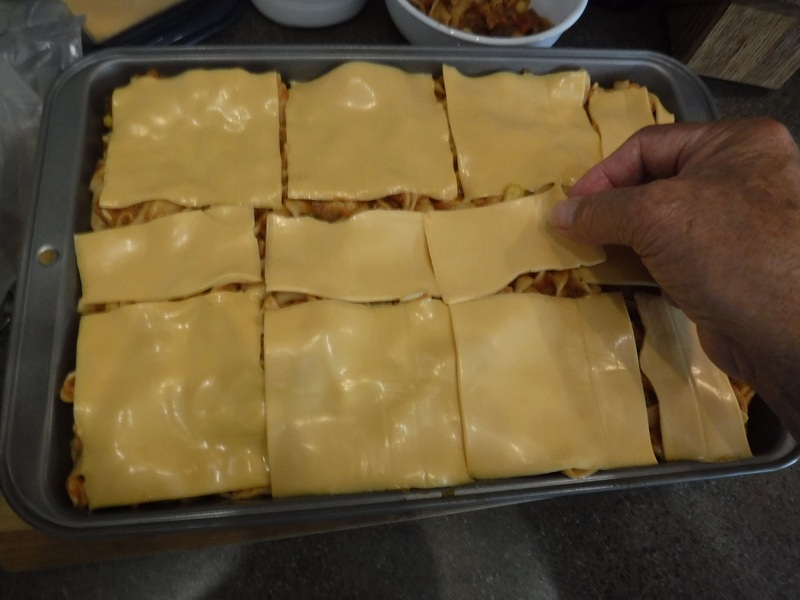 Cover surface with remaining cheese slices. Garnish with a sprinkle of paprika. Place in oven at 350°F. 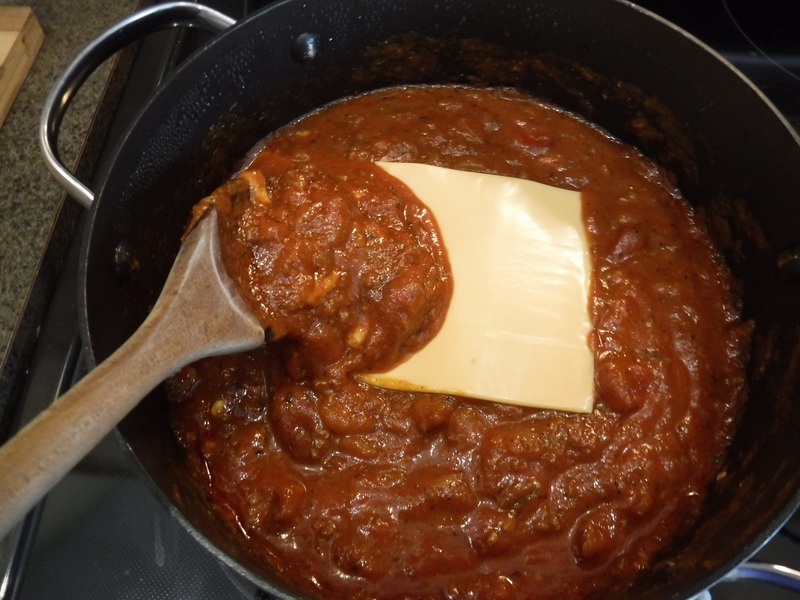 until cheese is well melted and almost ready to brown, 5 to 10 minutes. 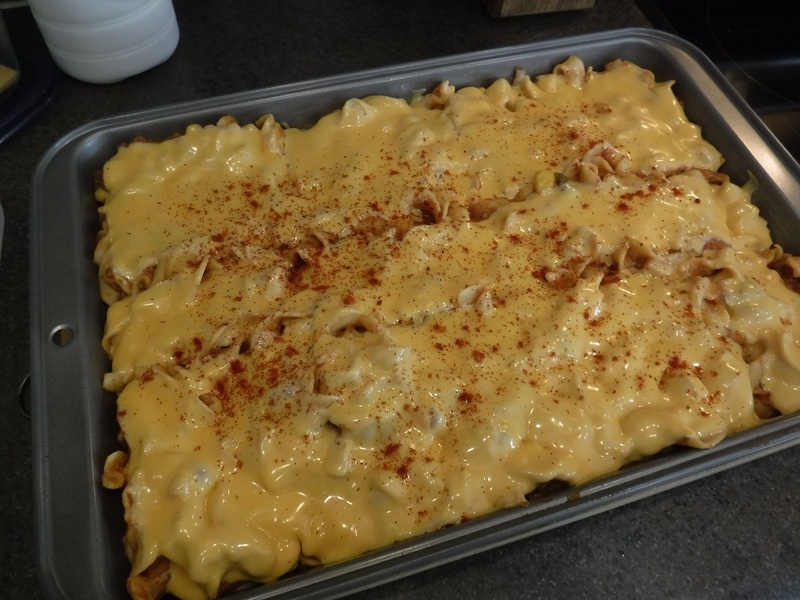 The above recipe is for a large batch that feeds a lot of people all at once or fewer people several times. If you freeze a portion and then vacu-seal, it keeps well in the freezer for a quick and tasty microwave meal later. 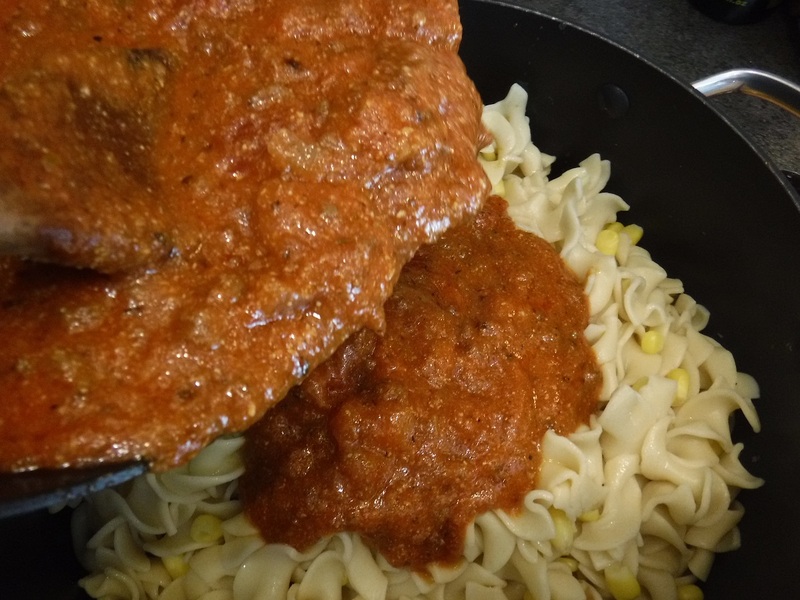 The elements of the dish, a meaty marinara-type sauce, lots of gooey melted cheese, whole kernel corn all mixed with the pasta of your choice. 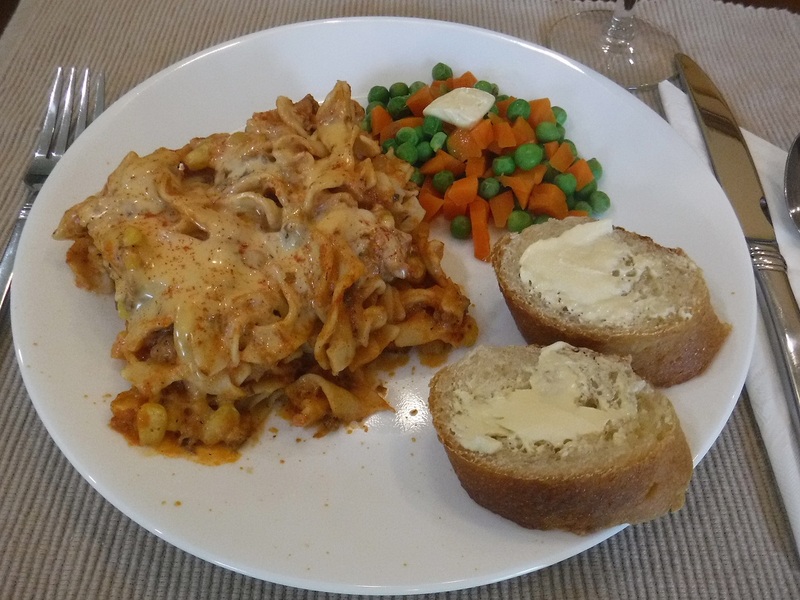 I admit it, in a pinch and time was short, I have used jars of pasta sauce from the store to make the dish. It still tastes great! And the sauce is ready when the pasta has finished cooking.